I just couldn't see coughing up more than $4000 for a 144" curved screen. I looked at one of these on line and after reviewing the assembly instructions concluded I could build one with very little more work than assembling the $4200 one. Building the frame using 2x4's and 2x6's was not difficult. I don’t know if the particular one I looked at back then is still available but it was similar to this. and you can download the PDF assembly instructions here. The assembly is different on this one, it uses, "tension rods" to stretch and attach the screen so possibly this is a new improved version. 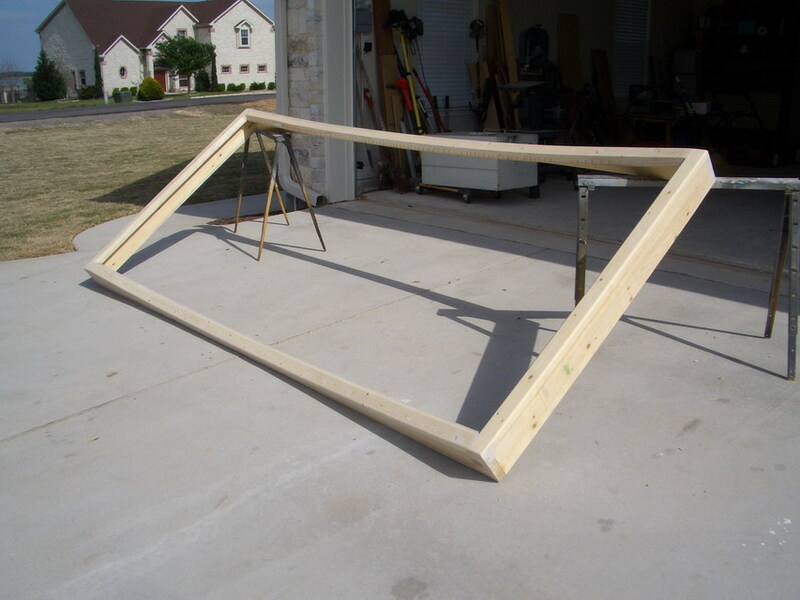 These instructions may offer a better idea how to build your DIY screen. My method for stretching the material came from the assembly instructions of the $4200 kit I had seen on line back in early 2008. It suggested starting in the middle and working toward the ends stretching the material vertically only, not much if any horizontally. It wasn’t exactly an easy task to keep wrinkles out but it really wasn’t that difficult either. To attach the screen material I cut grooves in the back side of the frame and then used window screen spline. This is a rubber strip about an 1/8” or a little more in diameter. You push it down into the groove with a roller that looks a bit like a pizza cutter. Just pull the material tight but not 100% tight because as you push the spline down into the groove forcing the edge of the screen material down it tightens it a bit more. I do recall pulling out spline a couple times along the way and starting again over sections of it. 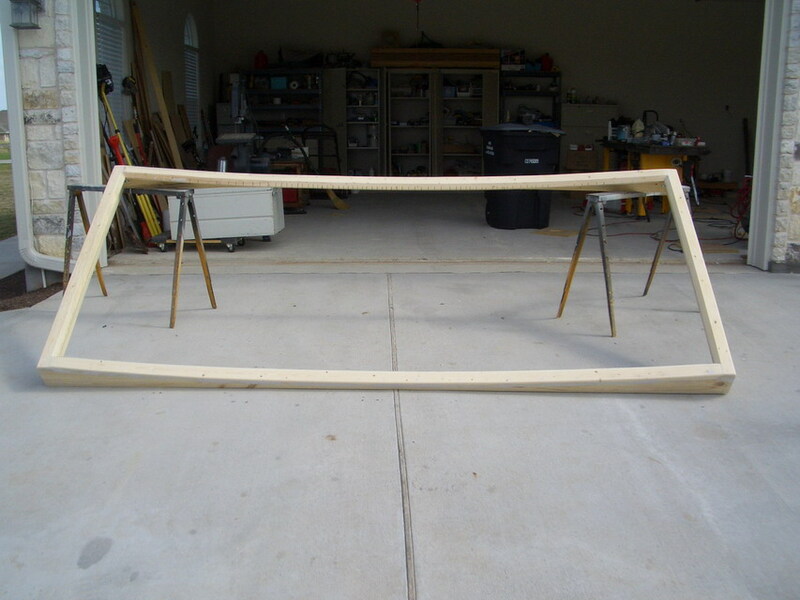 I also found this AVS Forum post that gave me the basic idea how to build the frame. My frame is built basically the same way. Here is another post I found recently that also demonstrates how to build a curved scrren. The material is by Da-Lite with a 1.3 gain from Cousins Video. For the frame covering I used a black speaker carpet from Parts Express but this was a mistake, the correct material is velvet. Next time that's what I will use but for now the carpet works fine. It's just a little fuzzy but this isn't visible watching the screen. The velvet should be much smoother and create a much more well defined edge.